New research published by Ocean Finance has highlighted the considerable proportion of UK motorists who may be letting their tempers get the better of them when taking to the roads. According to the research, 86 per cent of UK drivers state they are left angry by the behaviour of other motorists while out driving at least once per week – the equivalent of ten million UK road users. Overall, the actions that were shown to be most likely to raise the ire of the driving public were failure to indicate, tailgating, using a mobile phone while at the wheel, being cut-up, speeding, failure to say 'thank you' and driving well below the speed limit. Responding to the research, spokesperson for Ocean Ian Williams commented: "The vast majority of drivers are careful, polite and considerate. However, when we do encounter one that isn't it seems that many of us struggle to keep our cool. "We'd urge drivers who encounter some dodgy driving to stay calm – getting stressed isn't going to help." Indeed, safe driving requires motorists to be in control of their vehicle at all times and when people get upset, this can lead to distraction and an increased chance that they too could drive erratically or be involved in an accident. 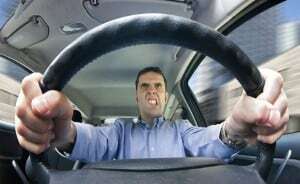 Taking a deep breath and understanding that some behaviours that could make people angry are in fact not intended to cause frustration could be great advice in helping to keep the roads safer – and calmer – for all.